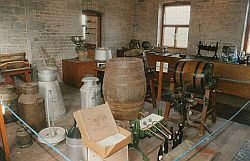 The Agricultural Museum has many exibits ranging from buttermaking, cultivation and horse drawn. Butter making goes back for thousands of years but it is basically the same, which is the agitating of cream. The display shows a range of churns used over the years. 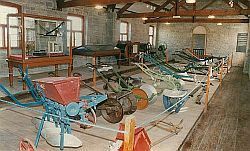 The display of cultivation implements shows ploughs, tillers and sowing barrows. 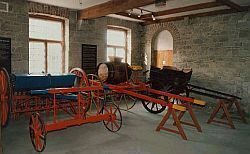 The three horse drawn implements shows a restored corn sower, sprayer and trap all used on Laois farms in the last fifty years.